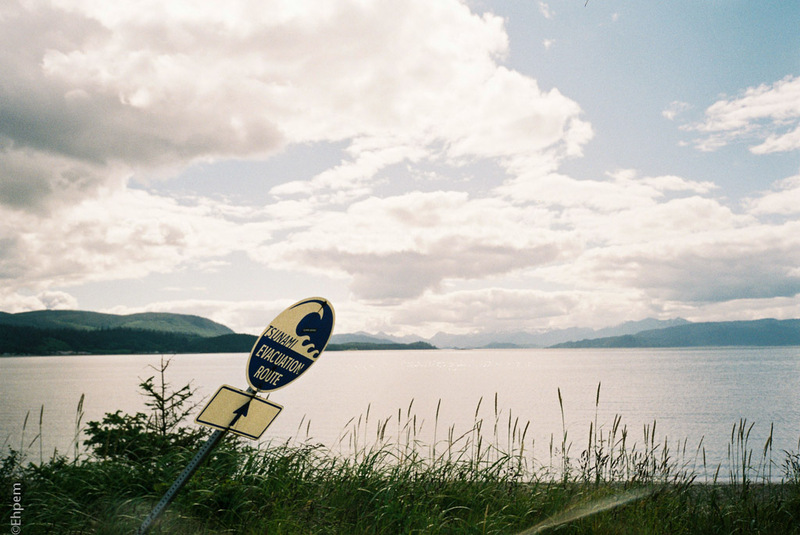 I expect all the residents know where to go in the event of a tsunami, and really the sign is superfluous. The firs ttime we saw one of these out here, it was a shock. It was out on the coast, of course, maybe Rialto Beach. And it was equally funny at a place like that. I don’t really need the reminder – my house is only a few meters above sea level, though the tsunami modelling suggests I should be safe in the event of a wave. However, that modelling is only for an earthquake moving the crust, not for, for instant, a major land slide on the Olympic Peninsula across from where I live – such as a significant underwater slump of the spit at Port Angeles. It would be interesting to see a model for such an event.